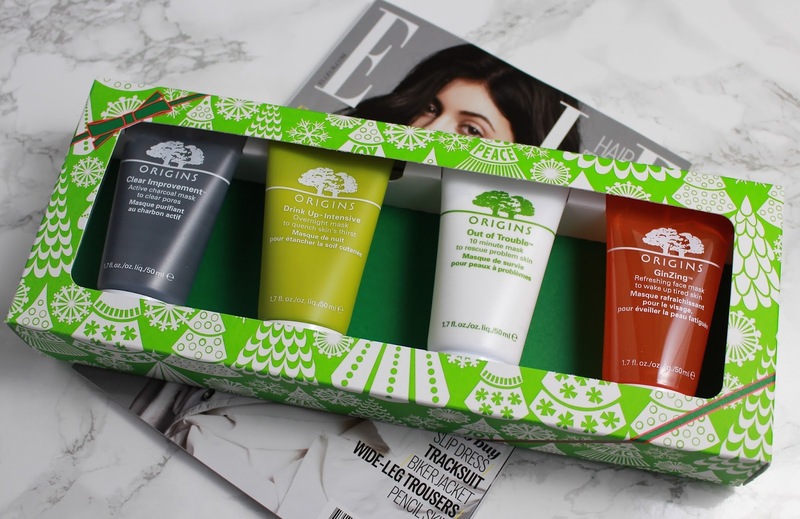 I put a couple of these Origins face masks on my Christmas list and I got this set with 4 amazing ones in - SCORE! 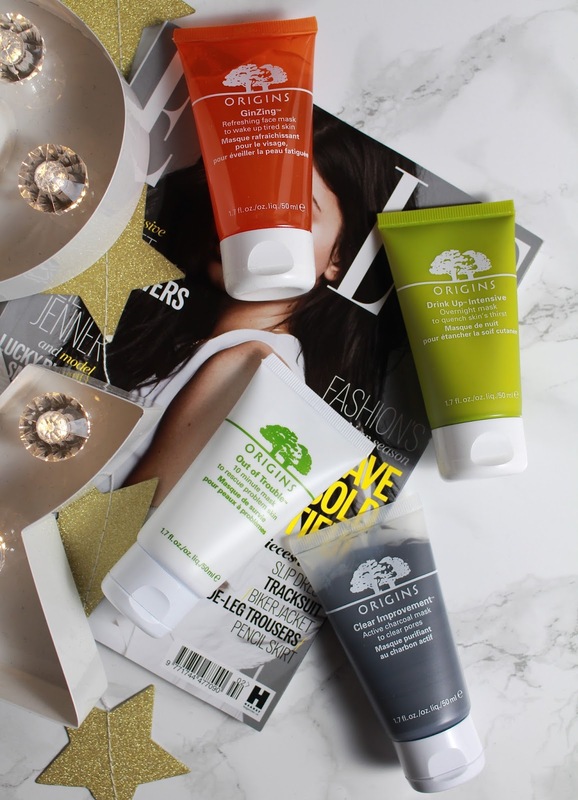 I love a good face mask, it makes me feel like I am really cleaning out my skin and tend to do one at least once if not twice a week. I mostly really wanted to see what the hype was with the Charcoal Clear improvement mask. 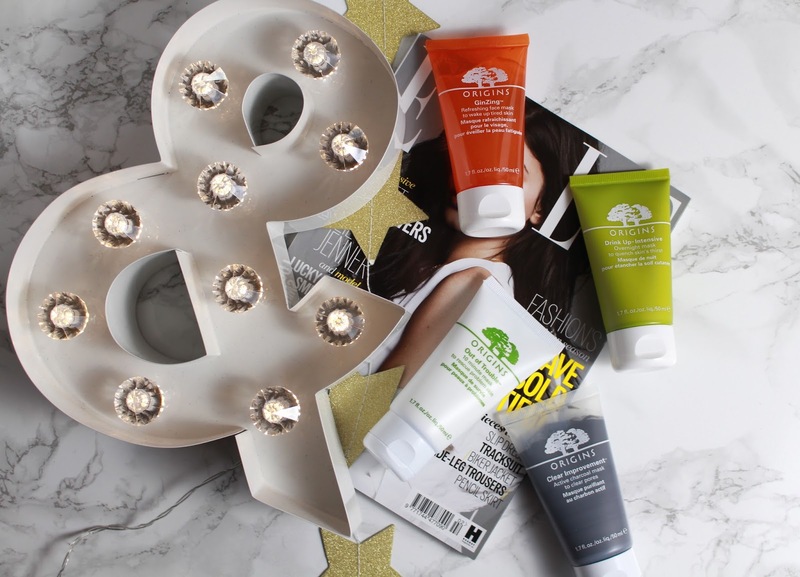 I LOVE this mask - I feel like this is my new go to face mask when my skin is feeling a bit sad and having too many outbreaks. This mask is a really nice thick consistency so you can really build it up and feel like it's working. I have tried other charcoal based masks before but I feel like this is one of the best ones out there. It is a little bit more pricey but I love the tingly feeling my face has once I take it off, which I feel like it means it is working (I hope)! This was the mask I wasn't too sure about using at first, I had never used an overnight mask so I was a little skeptical. It goes on like a moisturiser but leaves your skin with a sort of shiny appearance. It actually soaks up into your skin really well. I thought I would be left with a sticky face and it would be hard to sleep. But it actually couldn't be further from that - I woke up in the morning with a refreshed face. My skin actually looked a lot clearer and felt really hydrated, so this has to be my favourite one out of the bunch. I really like this stuff, my skin felt so soft afterwards! I don't think it necessarily clears up any outbreaks straight away but I did feel like my redness had gone. I think this is something to use maybe monthly as a treat or even when my skin really needs some extra TLC. I feel like this is an easy mask to use when you just want to give your face a little bit more TLC. It is pretty refreshing mask and does sort of wake up your skin. 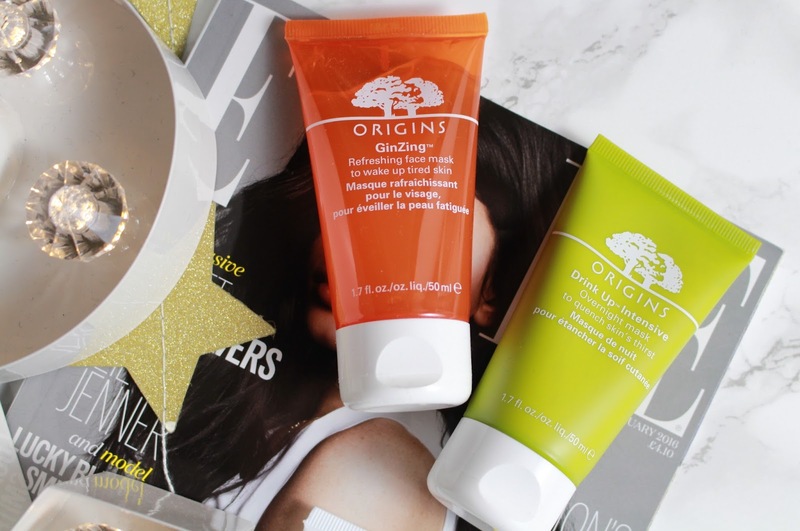 I didn't feel like the consistency is as thick as some other masks so that's why I would say its an easy way to refresh your skin. But I don't think I would repurchase this one as it's not really something I look for in a face mask.